This entry was posted in Autism, autistic, Gastro-Intestinal Issues and tagged Anxiety, appetite, communication, Compulsive overeating, eating, eating when full, emotions, food, picky eating, RPM, Stress, types of food, typing to communicate, unreliable speech. Bookmark the permalink. I wanted to choose one sentence to quote, but couldn’t as every sentence is packed with so much I cannot choose. Suffice it to say, this post of yours hit home on so many levels. Yes, yes, yes. “chaos ensues…” that pretty much covered a good two decades of my life, as you know. I cannot have coffee anymore ever again. I still love corned beef but I think my stomach hates it or it could be the stress of dealing with society. oh, my, was this written just for me? i have some serious food “issues”, but i handle most of them very well… it is my sugar addiction that gets me every time. Emma, do you have problems with specific foods? I definitely get this! Between celiac disease, intolerances and sensory preferences, food and I have problems! My body used to be “frenemies” with cheese and other dairy. But recently they outright hate each other. I’m very sad about it as I love cheese. . So very yes. Cheese, wheat, sugar. Argh. Mouth loves, tummy dislikes, mind and skin strongly dislike. Mouth wins too often! This SO hits home with me! 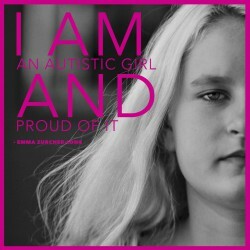 I’m an aspie Mom of a 4 1/2 year old, brilliant, autistic, nonverbal daughter. Oddly, I was vegan for many, many years until pregnant with my Kaitey …. then had strange, all consuming cravings for chicken, cheese & carbs…. ironic that those comprise the staple foods of her very limited diet! Stress & overstimulation sends me to comfort foods…. all of which are NOT vegan…. and more and more I wonder if the “comfort” I initially feel is worth the feelings of “guilt, regret”, etc. Poignancy at its most refined, and the succinct dynamic relationship with materiality, so alive in the autistic parallel embodiment, is grippingly vibrant in Emma’s words. This post is perfectly timed for me. I realized last week that coffee is making my headaches worse and I have to quit – but so many happy feelings are rolled into coffee for me! I’m trying to make friends with tea now…. What a great post – I just had an argument with my body a couple of days ago about eating some ‘comfort’ food I knew would come back to haunt me – I am afraid that my mouth won – again. It is very self-observant when one can realize the effects from the foods they have just eaten. 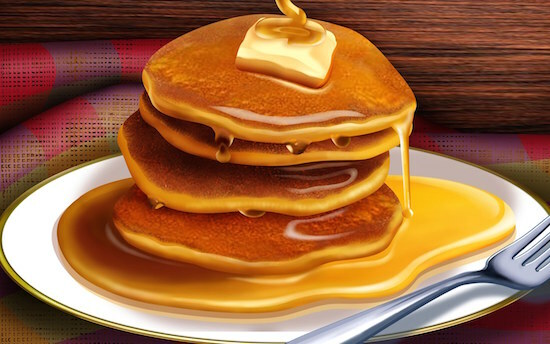 While those pancakes look good, they goop up my mind. It took me half a lifetime to test out the foods that made me sick, and realize how my chemistry interacted with them…good thing you are starting early Emma! Eating for comfort, makes you put on weight. That is called ’emotional eating’. That type of hunger is triggered by negative emotions, and not by hunger. Food can help comfort negative emotions, especially sweets and other carbs. “Just think of it as jet fuel. If you don’t fuel the jet, it won’t fly.” – saying to myself at times when I could not eat. Great post Emma, my downfall is (and always will be) chocoate! Loved your “food emotions are in love with our enemies” line! Example: “I may like pancakes, but they do NOT like me,” he said, as his blood glucose fell like a falling safe.